National Geographic Channels International (NGCI) announced today a new programming and marketing campaign that will ENTERTAIN YOUR BRAIN with a series of new and returning shows that spotlight the incredible workings of science and the human mind through mind-blowing experiments, viewer-driven brain teasers and man-on-the-street trials. The new ENTERTAIN YOUR BRAIN strand kicks off this February with the return of the Emmy®-nominated, global hit series Brain Games, with host and self-proclaimed wonder junkie Jason Silva guiding you through the twists and turns of your grey matter. 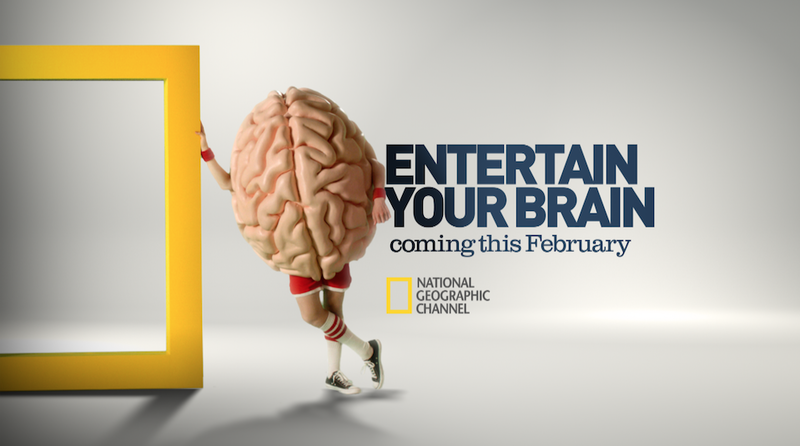 Brain Games was the #1 rated series across all the National Geographic Channels worldwide in 2013. ENTERTAIN YOUR BRAIN will also feature the brand new series None of the Above with British TV presenter and engineer Tim Shaw who challenges the people he meets  and the audience at home  to predict the outcomes of a series of experiments, from landing a helicopter on a single layer of eggs without cracking a shell to protecting a watch from hammer blows using custard. Acclaimed presenter Richard Hammond will host new series Science of Stupid, offering 14 nail-biting episodes that explain the physics, biology and engineering mistakes behind daring amateur stunts gone wrong. And, The Numbers Game where host and National Geographic Emerging Explorer Jake Porway reveals the surprising and fascinating statistical science at work behind every day topics including toughness, superstition, scepticism, lying and desirability, among others. ENTERTAIN YOUR BRAIN gives you the why behind the wow with an excellent mix of shows that pair together some amazing experiments and brain teasers to illustrate the remarkable way we make split-second decisions and piece together our world. These shows are fascinating, insightful and fun, said Hamish Mykura, Executive Vice President and Head of International Content for NGCI. To drive viewers and connect with the curiosity in all of us, NGCI has developed a very robust, marketing campaign featuring more than 60 unique creative executions for on-air, digital and print including 11 distinct promos, print ad templates and a customised website that showcases the worlds most enthusiastic superfan: the brain. 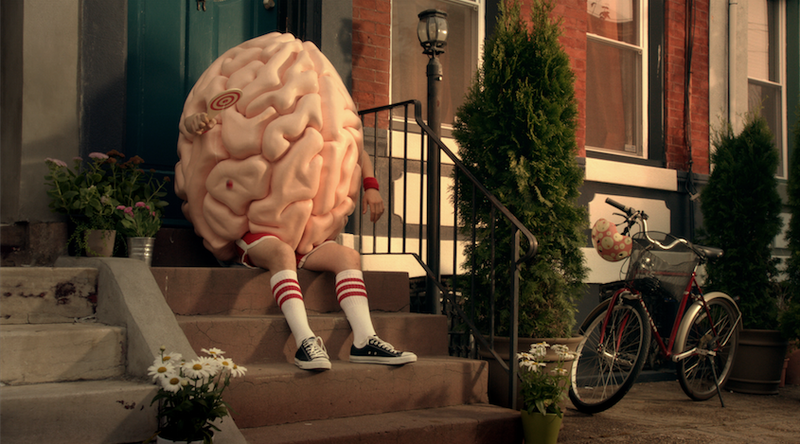 NGCI partnered with BIGSMACK marketing agency to create a five-foot-tall "living" brain character whose unbridled curiosity and thirst to know more leave him craving to stimulate his neurons through ENTERTAIN YOUR BRAIN content. Filming with the brain spanned over three months and multiple locations, featuring extensive interviews with talent from ENTERTAIN YOUR BRAIN programming including hosts Jason Silva and Tim Shaw. The brain has started a blog and his own Facebook feed that will be localised regionally. In the upcoming months the brain will be traveling around the world to local NGCI markets, meeting with other fans and local hosts, supporting numerous on ground stunts. Launching this month, the campaign will air in 170 countries around the world, translated into 45 languages throughout 2014. We worked very closely with the international group on this to develop the character of the Brain, and the concept of a Guy and his Brain, and their funny interaction. Nat Geo is making smart fun and we loved getting behind that sentiment. The National Geographic Channels International team is really clever and forward-thinking. Collaborating with them on this was a blast, explains BIGSMACK Executive Creative Director/Director Andy Hann.